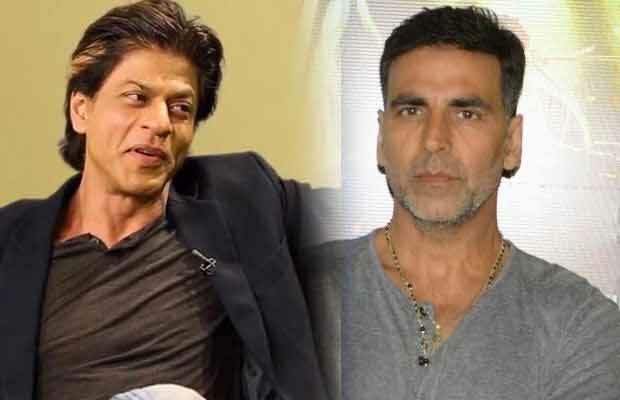 Home BOLLYWOOD Akshay Kumar Breaks Silence On Box Office Clash With Shah Rukh Khan! Akshay Kumar Breaks Silence On Box Office Clash With Shah Rukh Khan! Akshay Kumar’s next Toilet Ek Prem Katha and Shah Rukh’s untitled( Ring or Rehnuma ), Imtiaz Ali directorial are set to lock horns at the box office as both the films will hit the theatres on August 11, 2017. Shah Rukh Khan seems to have added a new tag to his name in 2017. King Khan is now also the king of box office clashes. First, the infamous Kaabil vs Raees clash which left the filmmakers, Rakesh Roshan and Sanjay Gupta, fuming and now a clash with Akshay Kumar-starrer Toilet Ek Prem Katha has left the fans of the superstar confused. Akshay’s next Toilet Ek Prem Katha and Shah Rukh’s untitled, Imtiaz Ali directorial will be seen the head- to – head at the box office as both the films are up for the Independence Day weekend release on August 11, 2017. Earlier, there was buzz that the makers of SRK-Anushka Sharma-starrer Ring or Rehnuma (title not finalised) are thinking of postponing the release date of the film to avoid a clash with Akshay Kumar. However, now it has been confirmed that the film’s release hasn’t been delayed. Shah Rukh Khan had confirmed the release date of his film couple of months before Akshay did, making everyone wonder why TEPK team chose the same date. Akshay Kumar is on a roll; be it Box Office returns, acclaim for performances or appreciation for his social initiatives, the actor is nailing it. And to top it all, the actor just won the National award for best actor for his performance in Rustom and Airlift. This is the third time that Shah Rukh Khan and Akshay Kumar’s films will clash at the box office.The two superstars’ films had clashed at the box office in past also. Here’s a look at their past box office clashes. Veer Zaara-Aitraaz (2004): Veer Zaara starring Shah Rukh Khan, Preity Zinta and Rani Mukerji clashed with Abbas Mustan-directed Aitraaz starring Akshay Kumar, Kareena Kapoor Khan and Priyanka Chopra on Diwali. While Veer Zaara collected Rs 19 crore, Aitraaz managed to rake in Rs 7 crore. Don -Jaan-E-Mann(2006): Shah Rukh Khan’s Don clashed with Akshay Kumar’s Jaan-E-Mann co-starring Preity Zinta. Don collected Rs 24 crore and Jaan-E-Mann managed to collect Rs 12 crore. The box office figures have been sourced from Bollywood Hungama. Watch Video Post The Success Of Baahubali 2, Karan Johar Parties With B-Town Friends! Previous articleShah Rukh Khan, Ranveer Singh, Akshay Kumar Have This To Say About Baahubali 2, Director Responds! Next articleDo You Remember Malvika Raaj The Young Pooh From Kabhi Khushi Kabhi Gham? Looks Gorgeous Now!